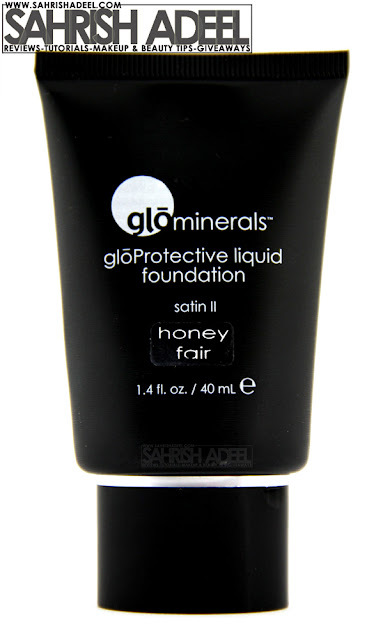 Protective Liquid Foundation - Satin II in 'Honey Fair' by GlōMinerals - Review & Swatch! | Sahrish Adeel - Malaysia based Pakistani Beauty & Lifestyle Blogger! Protective Liquid Foundation - Satin II in 'Honey Fair' by GlōMinerals - Review & Swatch! A liquid mineral foundation that does not need to be powdered at all? True or not, let's find out! Flawless skin is everyone’s dream. Our line makes it a reality. Skin nurturing makeup for beauty with a higher purpose. glōminerals™ is a makeup system uniquely formulated for skincare professionals and their clients. These advanced formulations combine pharmaceutical-grade ingredients, natural high-pigment minerals and the power of antioxidants. The result is clinically advanced mineral makeup that covers and helps correct and protect. Our formulations deliver unsurpassed coverage, broad spectrum UV protection and assist in combating free radical damage. glōminerals™ offers innovative new products with a color palette rich with the hottest hues and timeless color classics. Our clinical skincare makeup line is embraced by dermatologists, plastic surgeons and leading skincare professionals in the United States and aboard. Before I start the review, I want you to know that I have very oily skin and glōminerals clearly says that Satin II is not for oily skin type. However I gave it a good try keeping in mind the fact that it is not for my skin type. This foundation is also available in Matte formulation. Does not need to be powdered. Stays for long hours (8-10) without creasing. Covers up the dark circles to some extent. Gave a smooth, dewy & non-cakey finish. Comes in 16 different shade. 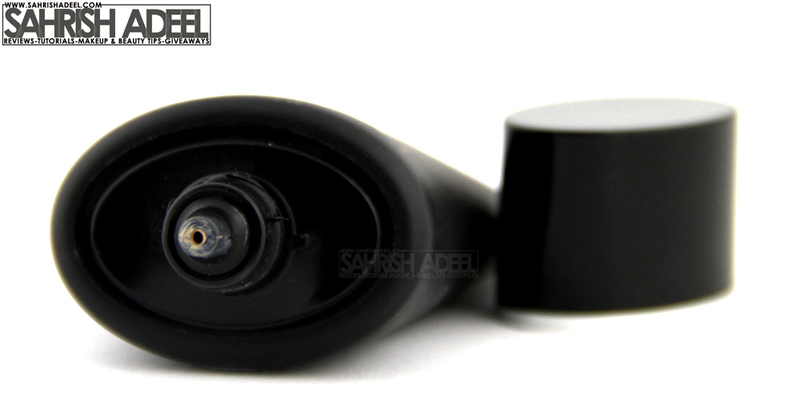 Nozzle end is really hygienic & mess free. This color does not match my skin tone but you can clearly see how it gives a very smooth finish. I blended it with my fingers. I think my exact shade will be Natural Light. Keeping in mind the fact that this formulation was not for my skin type, I still tried it as the sample was sent to me for review consideration and I did not want to waste it. This shade does not match with my skin tone so I don't wear it on regular basis but I actually went out with this shade on my face to see if it can stays on my skin during hectic and long hours of grocery shopping and dinner afterwards. =) It stayed well but I had to blot it with tissue to absorb oils. This foundation really does not need to be powdered and gave a really smooth and flawless finish. You will feel like you have powdered your face a bit after you are done applying it. This formulation dries up fast so I would recommend that you apply it on one portion at a time, blend well and move to the other. So far this foundation has not given me any breakouts. If you have any other skin type but oily, this foundation can work great for you. Highly recommended for people with sensitive skin type. I will try the matte formulation soon as I am really impressed with this foundation. Thumbs up for excellent coverage. Each tube contains 40ml of product and costs $40. This foundation is available in 16 different shades. You can buy it online from glōminerals' official website here. They ship worldwide. Have you ever tried any product from glōminerals? I hope you have enjoyed reading this post. Don't forget to share it ahead with sharing buttons below. Disclaimer: PR sample sent for review. My opinions are 100% honest to my readers.